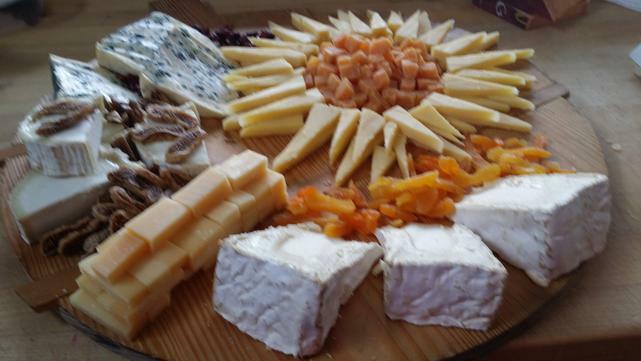 Consider having us create cheese and fruit platters for your next event. When we make custom platters, we will work with you to find the perfect combination of cheese and nibbles to suit your particular tastes. 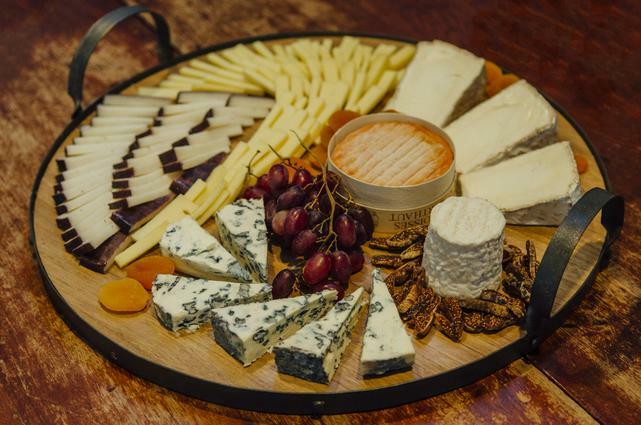 Custom Cheese Platters are usually best ordered ahead at least a day and made to order for a 25% fee. Most platters include about 1/5 lb cheese per person & fruit garnish. Other additions might include Olives, Pate, Dry Sausage, Nuts, Jam, etc. Crackers or bread are separate. You may bring in your own platter ahead of time or we can use a carryout platter. You may give us a set price to work with, and leave the rest to us, or you can specify exactly what you would like. We want you to love your platter or platters!